If you are experiencing this struggle, a very effective method of partially or fully disposing of your debt can be found in declaring bankruptcy. The Law Office of Howard Tagg has over 20 years of experience practicing bankruptcy law, and can assist you in swiftly determining if declaring bankruptcy is the right choice for your particular debt situation. 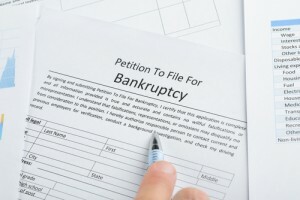 Chapter 7 is the preferred method of bankruptcy for the majority of individuals who decide to file. Under this chapter of the bankruptcy code, all non-exempt property belonging to the individual is liquidated, with the proceeds being distributed to the individual’s creditors. The Chapter 13 process involves the restructuring of debt by way of a payment plan. Rather than attempting to pay many different creditors, an individual will make one lump sum payment each month to a bankruptcy trustee, who will then disburse that payment to the individual’s various creditors. Upon completion of the plan, the individual’s debts will be considered satisfied, and their bankruptcy proceedings will be complete. Both Chapter 7 and Chapter 13 bankruptcy provide significant benefits to those struggling with debt. However, these benefits differ between the two, as each chapter is intended to serve individuals with specific financial situations. Choosing the correct chapter for you depends on your long and short-term financial goals. Is Declaring Bankruptcy Right for Me? Bankruptcy is not the correct debt relief choice for everyone. Certain individuals may obtain more effective help by pursuing options such as debt negotiation or debt settlement. If you are seeking some form of debt relief, it is in your best interest to contact a knowledgeable attorney who can help you decide if bankruptcy is the most effective course of action for you. 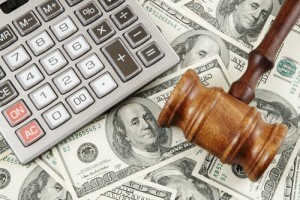 A means test must be completed prior to filing for Chapter 7 bankruptcy. The test was instituted as a way to determine valid financial hardship, and prevent abuse of the bankruptcy system. In taking the test, individuals are asked to compare their average monthly income with the mean average income of their state. Those with income levels that exceed the state average will likely not qualify for the process. The end goal of filing for bankruptcy is to eradicate one’s debt. Chapter 7 and Chapter 13 accomplish this in different ways. Discharging one’s debt in Chapter 7 involves liquidating assets in order to fund the repayment of creditors. The process typically takes a few months. Discharging one’s debt in Chapter 13 involves paying creditors back through a payment plan, and the process can last three to five years. Bankruptcy features many benefits. The primary benefit is securing the discharge of one’s debt, but the process also provides relief from creditors and a financial fresh start. A bankruptcy attorney can review your financial circumstances and determine if you will stand to benefit the most by pursuing bankruptcy as a debt relief option. The bankruptcy process that you experience will depend on which chapter you file for. It may take a few months for your bankruptcy proceedings to come to a close in Chapter 7, or up to five years in Chapter 13. The end result, however, will be that of partially or fully discharging your debt and reclaiming your financial freedom. If one’s bankruptcy proceedings are successful, it should result in one’s life becoming easier. A person who has completed bankruptcy will be free of most or all debt and will be able to reestablish a healthy credit score. This will allow the person to eventually obtain full credit and take out loans for vehicles or a home. 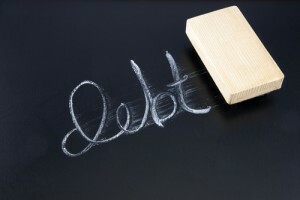 Not all tax debts can be discharged in bankruptcy. However, there are circumstances that allow for the discharge of such debt. If you possess tax debt and are wondering if you can eradicate it through Chapter 7 or Chapter 13 bankruptcy, contact an attorney who will be able to determine the debt’s eligibility for bankruptcy protection. If you are considering bankruptcy, or have already decided to file, it is in your best interest to obtain guidance from a skilled attorney. 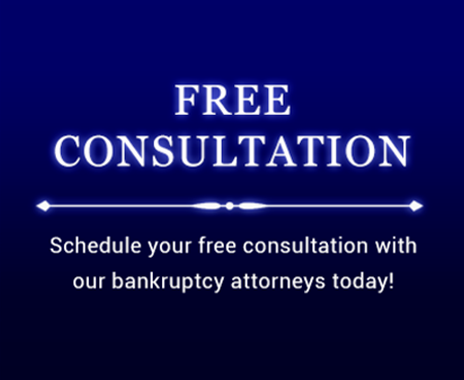 The process of declaring bankruptcy can be extraordinarily complex, and attempting to move forward on your own may result in mistakes or oversights that prove very costly. An attorney will be aware of these risks, and will help you navigate the proceedings in such a way as to minimize the likelihood of your petition being denied. Contact the Law Office of Howard Tagg today at (903) 581-9961 and schedule a free consultation to discuss what options might be best for you.